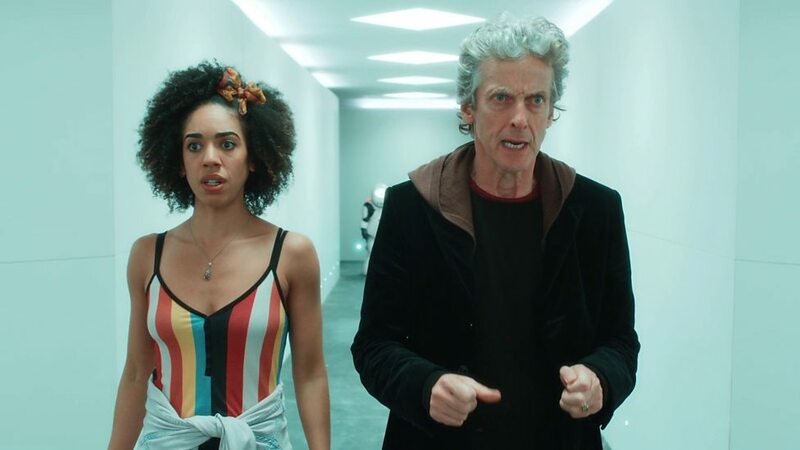 In this episode, the Doctor breaks his vow: he goes off-world, taking Bill into the future — into a brave new world in which everyone must be happy. Or else. After complaining last week that the plot was paper-thin, this one was much better — really, really weird, but much better; especially since the Evil of the Week didn’t turn out to be actually evil. A lot of the time, evil masterminds are planning the destruction of the universe for some reason or other, so it’s really great to have a story in there that puts a twist on it. 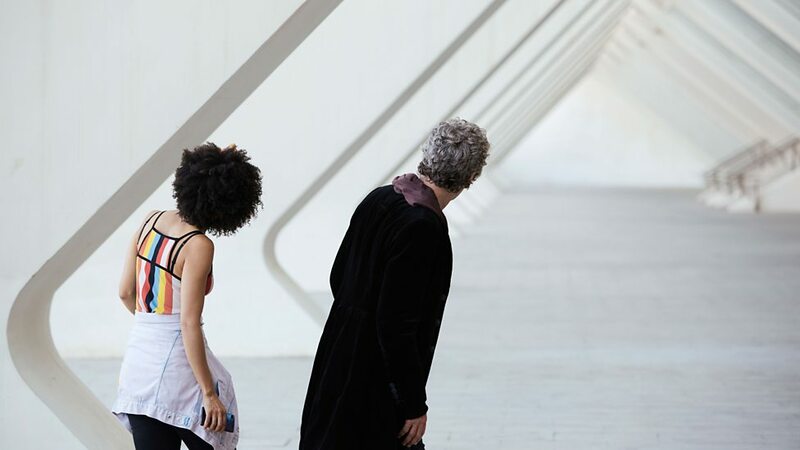 The mystery was engaging, I found, and I liked that the Doctor figured a few things out very quickly but then realised, a few times in rapid succession, that he got a few of those things wrong, too. And then promptly sets out to fix them. The best undercurrent of the whole thing was that the humans actually are proper colonists now: the emoji bots are now recognised as an emerging life form and not a slave class; and the humans who sent them ahead are now gonna have to bloody well deal with the fact that they were not the first living beings on this planet. And since they didn’t want to do all the hard work themselves, they’re going to have to ask for help, for permission to share. Hopefully, this attempt at cohabitation will have a better run than the many, many examples of human colonisation before. Would you like me to discuss rent? I knew an emperor made of algae once — he fancied me. See, it’s those kind of throw-away lines that do not actually constitute representation. They’re nice, but they don’t help. Clara canonically kissing Jane Austen has established the Tiny Bisexual English Teacher Clara Oswald fandom, but it’s not ground-breaking. Bill having an actual near-relationship with Heather, that was. An additional tidbit I found out over the last week: William Hartnell’s nickname was Bill, and his wife was called Heather. How sweet is that?! Having a new companion also means that we get to see some genuine reactions to things that we’ve been taking as read since 2005. The destruction of Earth, for instance, the fact that every population has had to evacuate — leading to The End of the World, leading to Utopia, leading to The Beast Below. We know all that, but for Bill, seeing Earth destroyed, seeing humans having to flee, it’s a shock to her. Sure, being the Doctor’s student, she knows the sun will expand one day, but Earth is still her home; and it’s very different hearing about it happening at some point in the future. Here, it’s already happened — she’s reading the book on it. I think it’s a great wake-up call for us in re: “old” storylines to see her actually grieve for that, for her planet. All in all, I think this is a very promising continuation of Series 10, and I’m really looking forward to That Time the Thames Froze Over and Creatures Ate People!